I recently bought three Body Shop products I’ve never tried before and now I can share my thoughts on each one. 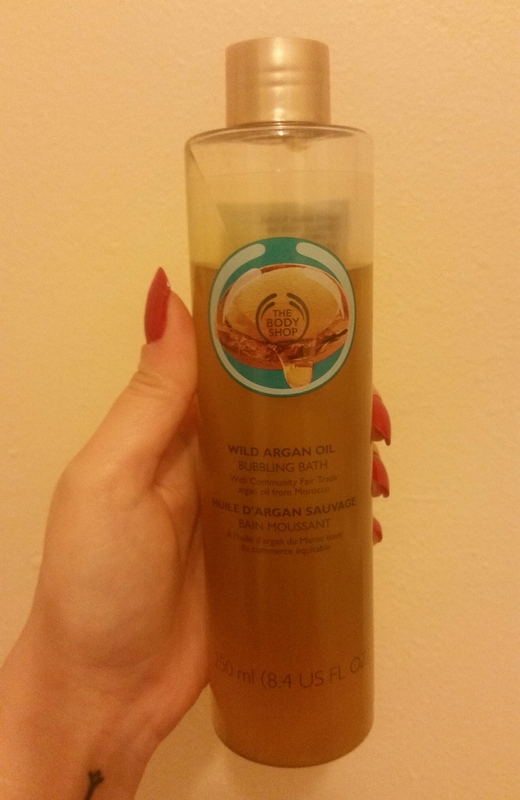 Let’s start with the Wild Argan Oil Bubbling Bath. Argan Oil has been having a moment for quite some time. It’s great for hair, skin and also bath products. This bubble bath has a gorgeously sweet, nutty smell and is just as foamy and bubbly as a regular bubble bath. It doesn’t feel greasy or oily on the skin in any way, but I found my skin felt both softer and smoother after using this. It’s also a good sized bottle that you can get many baths from. I’ve seen bubble bath melts around for a while, but this is the first time I’ve tried one. Like the Argan Oil Bubble Bath, you get a good amount of product that will last for quite some time. It has a lovely floral and honey smell, that isn’t too overpowering or sweet. It’s also a lot thicker and creamier than a regular bubble bath. It left my skin wonderfully soft and also created a lovely bubbly bath. 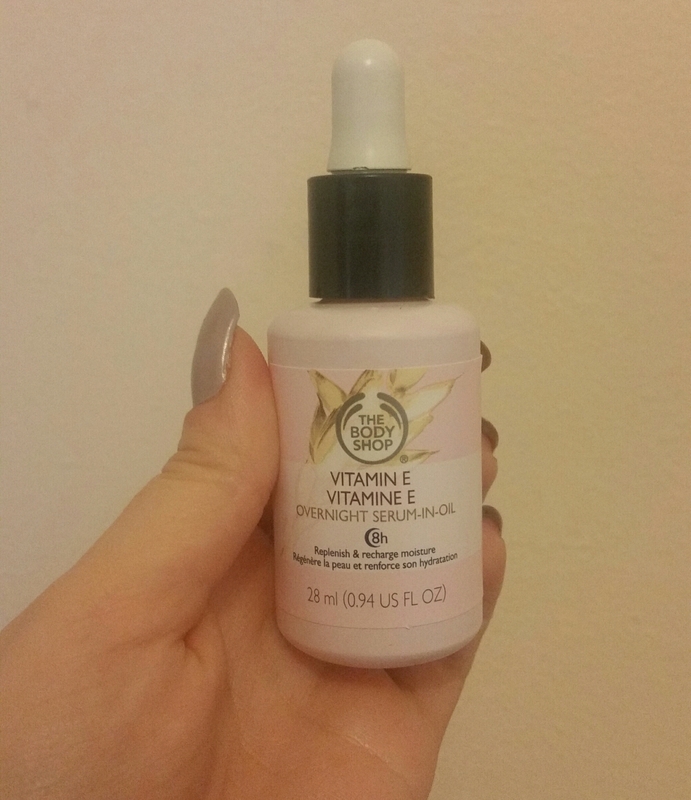 I love The Body Shop’s Vitamin E range, so I was excited to try this which is a serum and facial oil in one. It’s meant to help skin look more radiant, rested and also helps with dryness, but I’m a bit undecided on this product. It does help my skin look a bit more glowing and it’s a lot cheaper than popular ones such as Estee Lauder’s, but this hasn’t wowed me. It applies fine when used alone, but used with any of my night creams it feels incredibly greasy and uncomfortable. Whilst Estee Lauder’s Serum makes my skin look more even, glowing and youthful, The Body Shop’s Vitamin E Serum/Oil didn’t make any noticeable difference to my skin. Let me know if you’ve tried any of these Body Shop products. The bath melt sounds interesting, I may give that one a go. 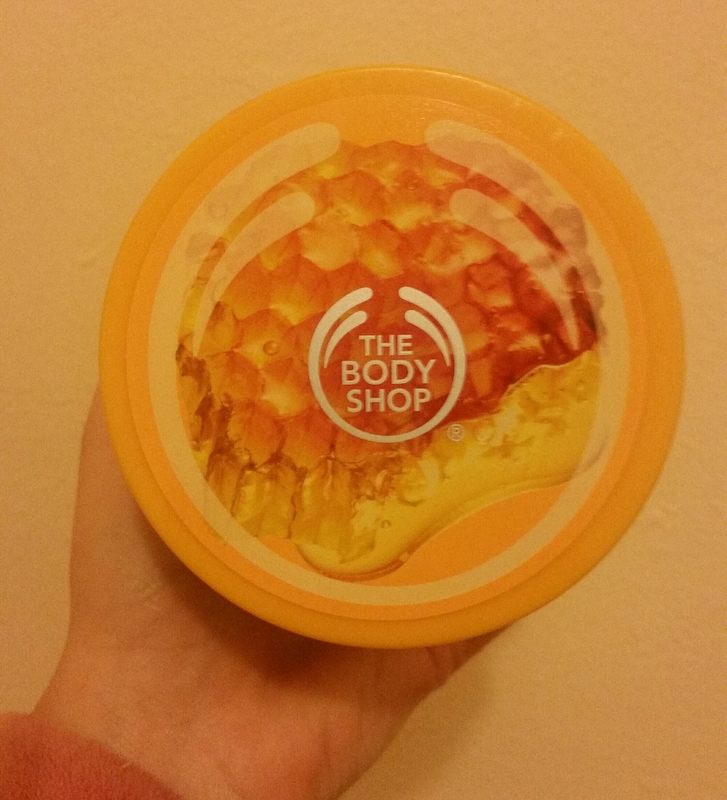 My favourite body shop product so far is their mango body butter~~ that stuff smells edible.